By now, anyone who cares knows it already: Tealive was born under difficult circumstances. Previously operating under the name Chatime, the switch came when parent company La Kaffa suddenly terminated the deal due to “breach of contract“. Loob Holding and La Kaffa are now embroiled in an ongoing court case to resolve the issue. While that goes on, players such as KOI began entering the market, and Chatime has even come back to our shores sporting a new master franchiser, and a new rapid expansion plan. They’re here among the many existing players in Malaysia—Gong Cha, Each-A-Cup, Latte Me, Blackball, and that’s just naming a few. Despite that, Tealive seems to be having a good year. On the legal front, the court dismissed Chatime’s injuction against Loob Holding Sdn Bhd for carrying a similar business as Chatime in May. 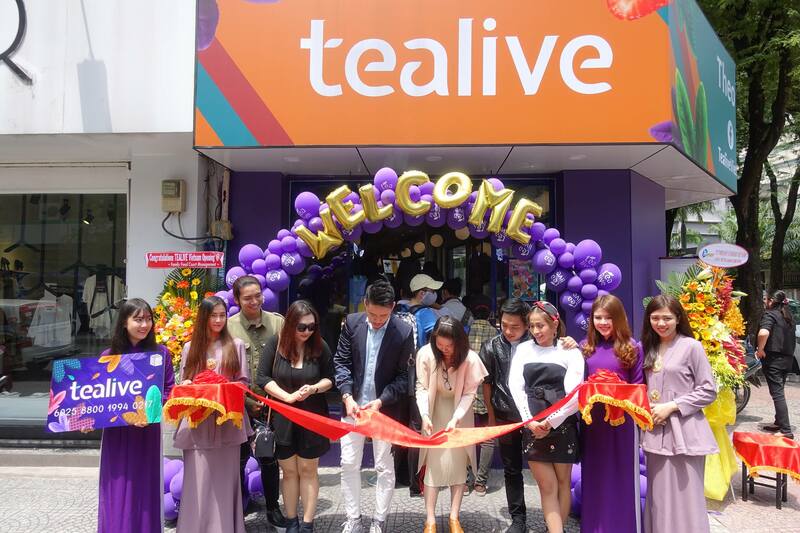 In October, Tealive launched their first shop in Vietnam, and they’re now seriously eyeing Australia as their “gateway to the west“. By year’s end, Tealive will have close to 175 stores in Malaysia, and 4 in Vietnam. Other than that, Bryan Loo, the CEO of Loob Holding, has also revealed that we’ll be seeing more Tealive drive-thru’s and petrol station kiosks in 2018, in the homegrown brand’s bid to become a household brand. For those who don’t live in populated city areas, “We have invested in our own Tealive truck allowing us to supply and conduct beverage sampling at rural areas and event spaces,” said Bryan Loo. During the transition, 161 franchisees chose to follow Bryan Loo and switch into Tealive and having many franchisees choose to stay with him perhaps helped Tealive’s assimilation into the local consciousness. We spoke to the team, and these are their key strategies that they’re working on to position themselves as major contender on the scene. 1. It all began with a centre. Specifically, a Global Product R&D centre, which is completely focused on curating new drink flavours, both foreign and local. According to Bryan, “we are constantly evolving and looking for ways to innovate and improve”. 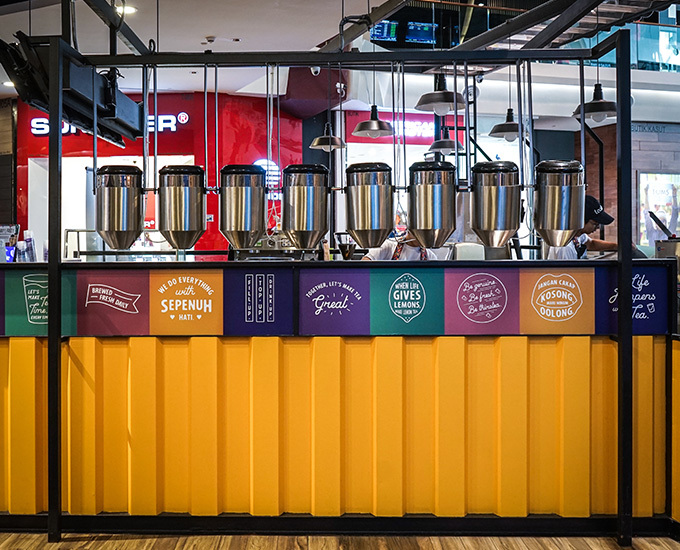 To build the centre, Tealive has invested a great deal of their assets and resources into setting it up, which now also serves as a retail technology research development to ensure that business operations remain in good shape, for all the Tealives worldwide. In fact, the centre will still see more development and funds pumped into it moving forward. This is in a bid to “surpass customer’s expectations by delighting them”. 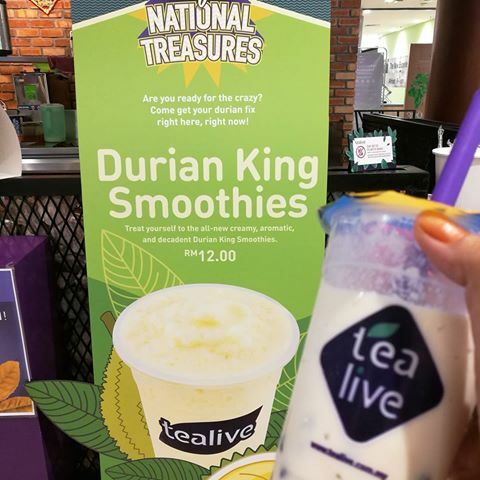 Through the centre, Tealive has already produced new flavours to complement its existing array of drinks; an example is the Durian King Smoothie which sold out in just two weeks. 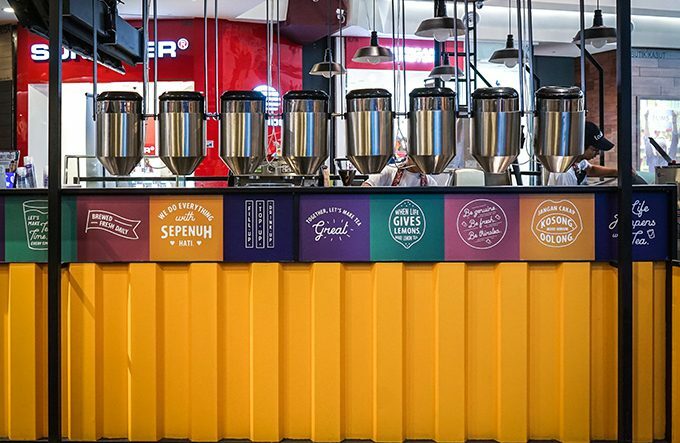 They have since introduced Vietnamese coffee into their Malaysian stores, and there are also the drinks that come as a result of their partnership with Horlicks. 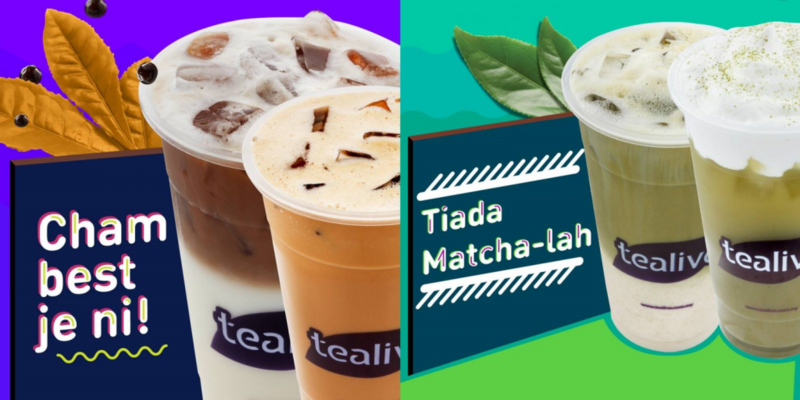 On top of these new drinks, Tealive has also introduced the “Mighty Mam Mam”—a variety of snacks such as popcorn chicken, pies, and other bite-sized food that can be eaten on the go. Some of these are are indeed elements carried over from their roots, and on Tealive’s side, there seems to be internal considerations to keep what worked before while still changing things up. Bryan thinks that the hybrid of hot and cold is an adventurous sensation—exactly what he thinks Malaysians are. And it’s also down to their partnerships. 2. 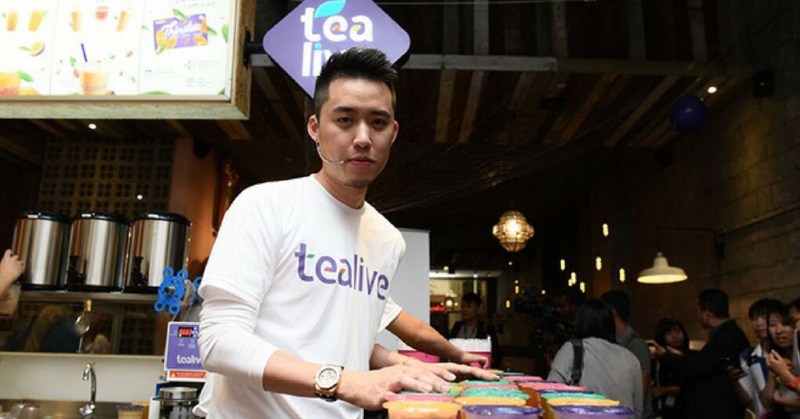 Besides partnering with food brands—an expected venture—Tealive’s made a slew of strategic partners. One of those efforts include out-of-the-box campaigns. With a startup called Monsta, Tealive did a Universitea program that offers its participants opportunities to a project development with Loob Holding, fulfilling both Monsta’s bid to provide opportunities for university students, and Tealive’s bid for their campaigns. Partnering with Moola, netizens were tasked with snapping pictures of Tealive branded cars in the wild for a chance at drinks and discounts. Meanwhile with GoGet, Tealive introduced a “Teabreak Takeover” Facebook campaign that offered 50 cups of Tealive for 10 winners who posted a picture of themselves drinking or declaring their “love for tea”. Besides that, there are other seemingly unorthodox partnerships—with the ongoing TV3 series Aku & Dia, a movie starring Chris Evans called Gifted, and many others. 3. Most of their resources next year will be going into their international expansions. “We used to be very much focused on the domestic expansion but moving forward most of our investment will be allocated towards local and international expansion,” said Bryan. In fact, their expansion has been put in the front and center for the brand for the next three years. By 2020, the brand hopes to “unlock” 15 countries. One of Bryan’s oft-quote phrases is “born in Malaysia and raised for the world”, but the fruit of that sentiment is coming true—by using their expansion map as a mood board to inspire more drinks in Malaysia. The rest, according to Bryan, simply lies in delivering a good cup to consumers. “We never compromise on quality or take shortcuts, and our tea is of the best quality and brewed freshly daily,” said Bryan. Perhaps an expected answer, but the success or failure of the brand lies in the most visible result: once a drink touches a customer’s lips. And in the end, that’s the only thing that matters. With Tealive’s current position in the market, it’s easy to forget that they could easily have crashed and burned after Loob Holding’s fallout with Chatime. We think that it is a testament to the company’s experience in growing brands that they are able to make the transition to Tealive seem smooth. It will certainly be interesting to see how the bubble tea wars rages on in this nation, between the existing players and other that may come into the fray.